Trip planning is the first part of your journey, so preparing and planning your trip should be an enjoyable experience. This is when dreams become reality. Good trip planning genuinely increases the likelihood that you will be going on the perfect trip for you. Planning the perfect trip is fun but it can also be hard work. There are countless exciting travel options available, especially when you start searching travel booking sites on the internet. Top Travel Tips makes the travel planning process simple by breaking it into few logical steps, each providing you with wealth of relevant and up-to-date information. You can go through the trip planning tips one by one, or select those that are of special interest to you when planning your perfect trip. The first trip planning step is to decide where to go and when. These decisions can be easy. Like when you are visiting family or friends, or when you always wanted to go to this magical place, you heard so much about. In those instances, you know where you want to go. In other instances, you will know when you want or can go. Like when you can only get a holiday at a certain time of the year or if you have to travel during the school holidays. In those cases, these decisions have somewhat been taken for you but you will still find valuable travel tips in this section. Like what kind of travel weather can you expect during your trip. Other time the world is your oyster and you cannot decide where to go - or when. There are so many exciting travel destinations to choose from, how to pick just one? You might want to do something specific but are not sure where and when the best time is to do it. In those cases, you will need to do some more research. There are many excellent travel booking sites and travel guides that can assist you with that. You might also want to visit our Find Your Perfect Trip section for inspirations and advice. You should always check official travel advisories before making the final decision about your travel destination, e.g. that there are no travel warnings that you should be aware of prior to booking your trip. All travel warnings are issued for a reason so you should always read them carefully. Some warnings are though more serious than others. Answering our five questions will help you to evaluate the travel warnings for your destination. When you have decided where and when to go, then it is time to decide how to get there, where to stay, and what to see and do while on your vacation. 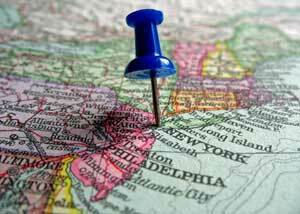 Your travel budget plays an important role in your trip planning. You can spend as much you like or as little as you can everywhere in the world. Preparing detailed travel budget in advance is the best way to minimize the risk of overspending while on holiday. Your travel guide will provide excellent support in deciding what to see and do at your travel destination. Researching your travel destination on-line should also provide you with wealth of trip planning information and ideas. There are many easy to use travel planning software packages available that can be helpful for trip planning. Especially useful when planning longer trips or when you are travelling to more than one country. Especially useful when planning longer trips or when you are travelling to more than one country. There are many things to consider when planning your trip. For example, when should you book your trip? Is it better to book early or try to bag a last minute deal? We look at the pros and cons of each method. We also offer advice on how to navigate your way around the complicated airlines pricing structure. We for example look at how travel search engines can help you to find cheaper flights and if discount airlines always offer the lowest prices. While our hotel tips help you to find the right hotel for you for the right price for you. Not all rooms are equal. It is not enough just to consider the price, you must also consider the room itself, as well as the location and service included. Comparing hotels on-line, in the comfort of your own home is a great way to do this. Our Money Saving Travel Tips explain how to save money on all aspect of your journey. We explain how to save money before you go, e.g. on how you travel to the airport, and how shopping around for flights and accommodation can add up to big saving. We also look at ways to save money while on your vacation, e.g. on food, sightseeing and shopping. Once you have planned your trip, it is time to make the actual booking. We recommend reading our practical travel booking tips prior to making the actual booking. Booking a trip through on-line travel booking sites is getting increasingly popular but some still prefer to book through travel agents booking personnel. We explain the difference between travel search engines and travel booking sites and under which circumstances each is likely to return the best result. There are many practical things to consider prior to going on your vacation. We offer travel tips that help you to remember all the small things that you must do before you travel. Including taking care of your health, making sure your travel documents (visa, passports) are as required and your money matters are in order. Part of your trip planning is to secure your home while you are travelling. Our practical home security travel tips offer advice how to keep your home safe while away, so you can travel with peace of mind. Never leave securing your home to the last minute, there is too much at stake. When travelling abroad you are likely to need some foreign currency. 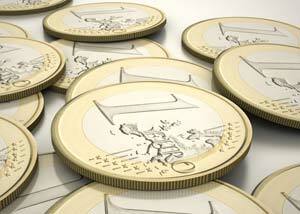 There are many ways to buy foreign currency but the cost can vary greatly. Travelex claim to offer the best exchange rates for travel money. They also offer various other services, like money transfer and VAT refunds. One of their most popular products is prepaid currency cards. 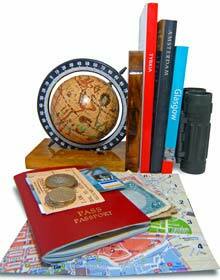 They are safe, easy to use and can save you money when travelling abroad. Travel experts estimate you save between 5 to 8% by securing your currency exchange rate in advance, as you do when you purchase prepaid currency cards. You will find these and more travel tips and advice here at Top Travel Tips. We hope you enjoy your trip planning... almost as much as your travels.